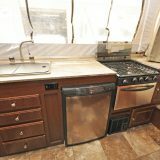 Discharged water from your popup camper’s sink or shower should never be allowed to simply drain out the side and onto the ground. 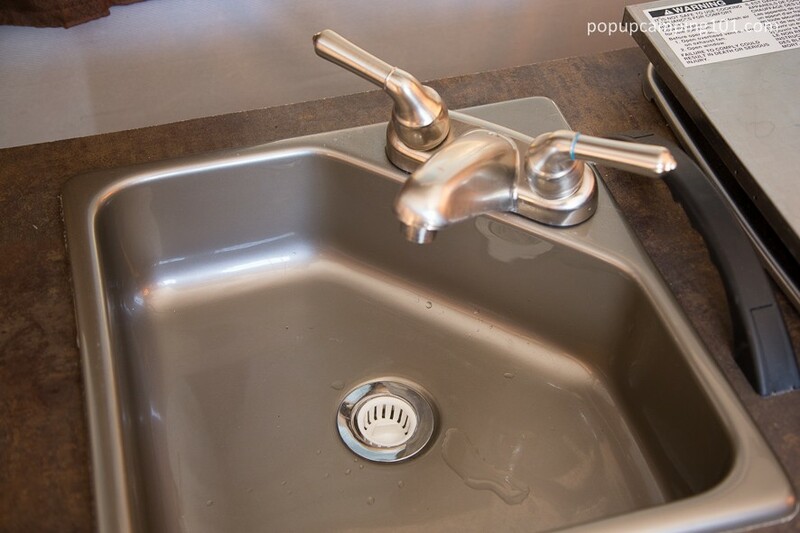 Food particles will attract animals and soap chemicals will damage the landscape. This is particularly important in desert environments where even clean water discharge can cause erosion. 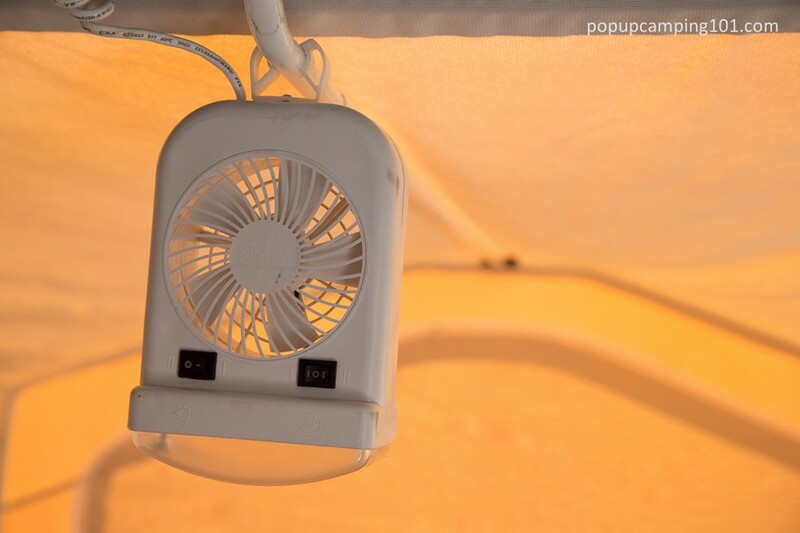 Adding a bunk-end light/fan combo is quite easy to do and provides several benefits including a private reading light at night and better air circulation into the bunk. 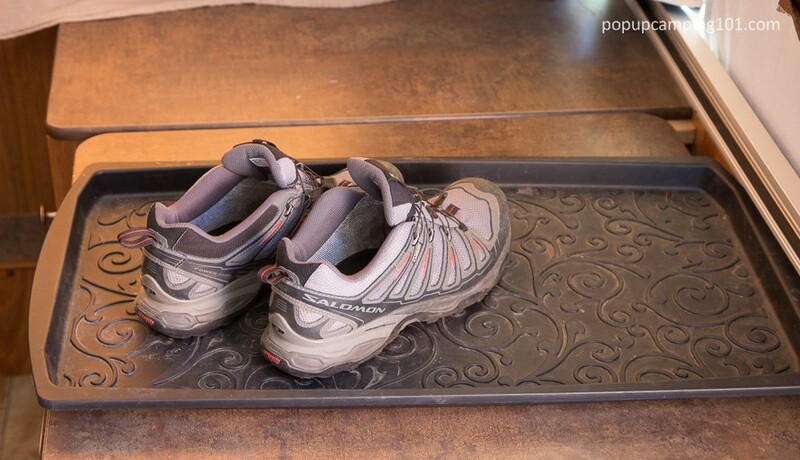 An easy way to keep your camper clean is to store those dirty shoes on a shoe tray. 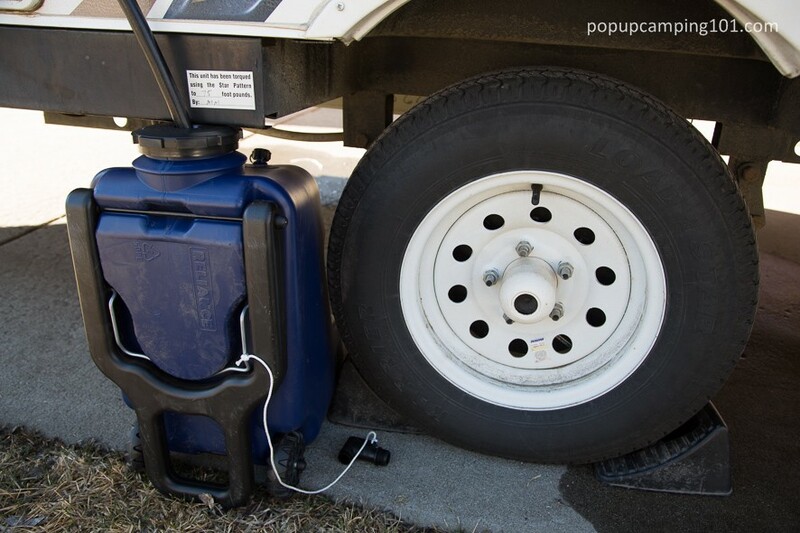 Water will collect in the tray instead of on your camper’s floor, and the tray can be taken outside for a quick tap to remove any moisture or dirt. 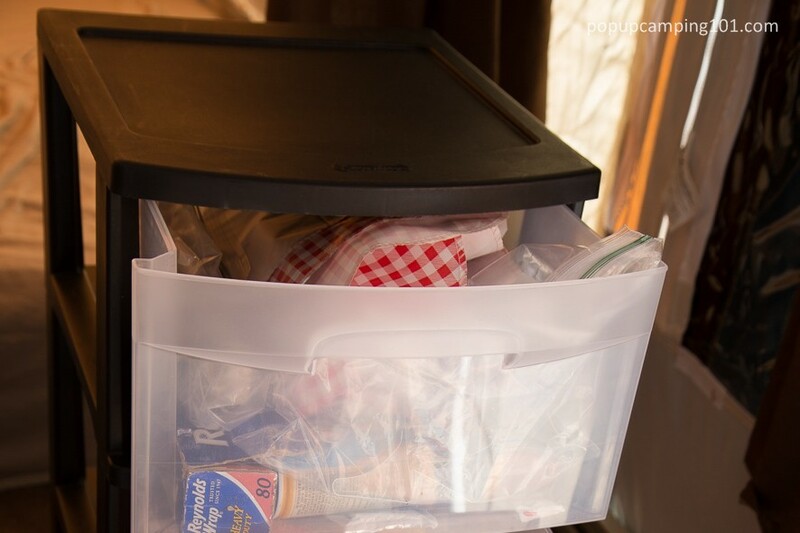 Another simple upgrade to your camper is a plastic drawer cart. Simply remove the wheels and enjoy the convenience of seeing what is inside with easy access from each drawer. 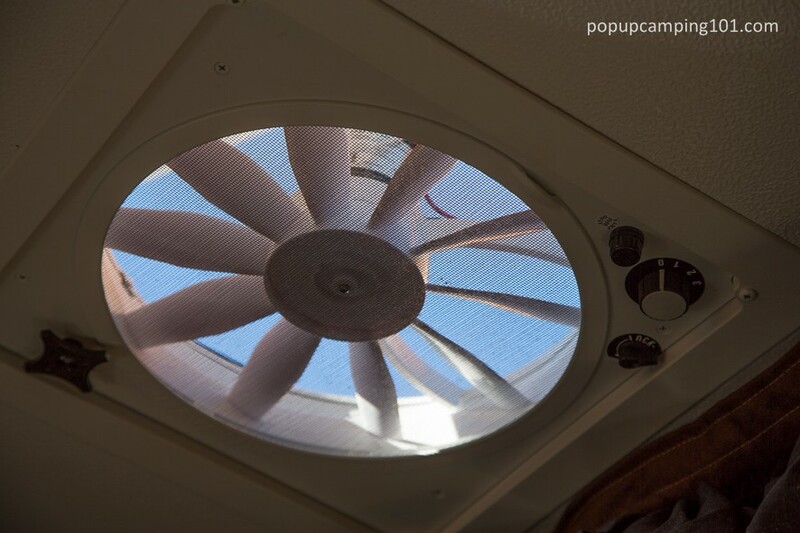 A simple upgrade that costs less than $1. 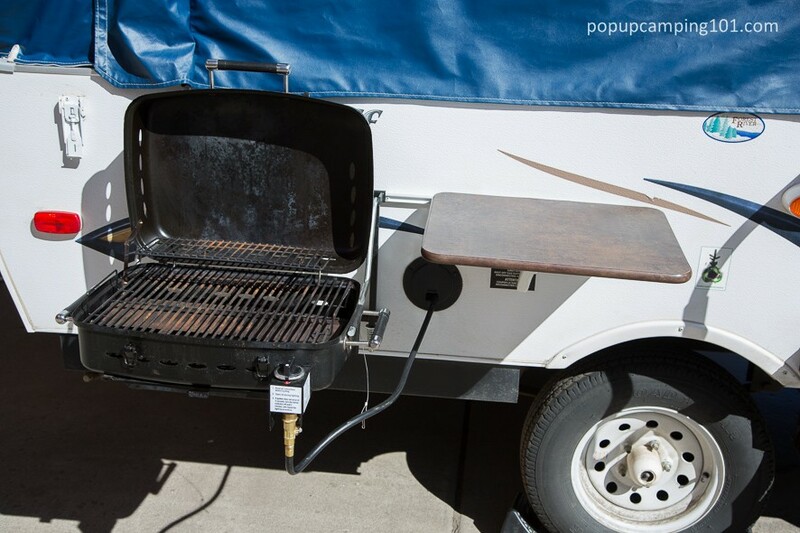 Purchase a small plastic strainer to fit into your popup camper’s sink. 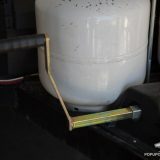 This prevents food from getting stuck in the discharge pipe, which could both clog up your plumbing and attract animals. 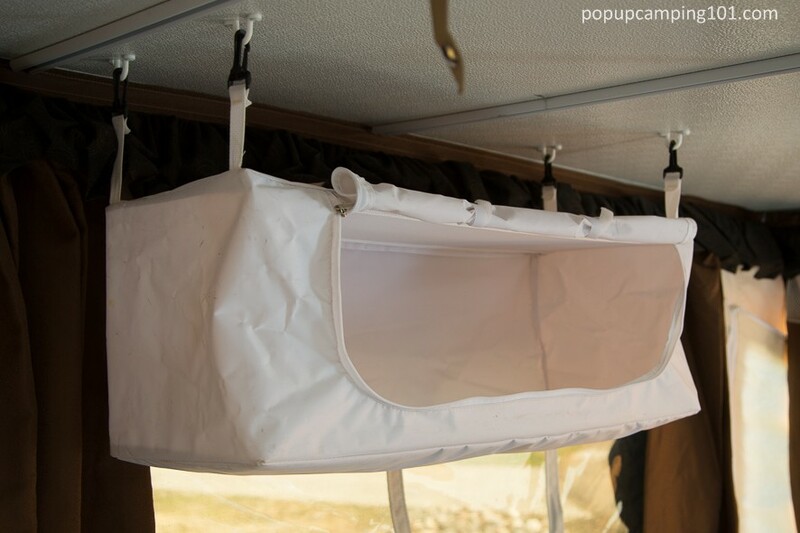 A vinyl overhead storage cabinet has been one of the best conveniences in our popup camper. 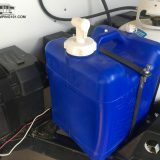 It’s easily installed on each trip and holds items like paper towels and wash rags close to the kitchen sink without taking up valuable counter space. 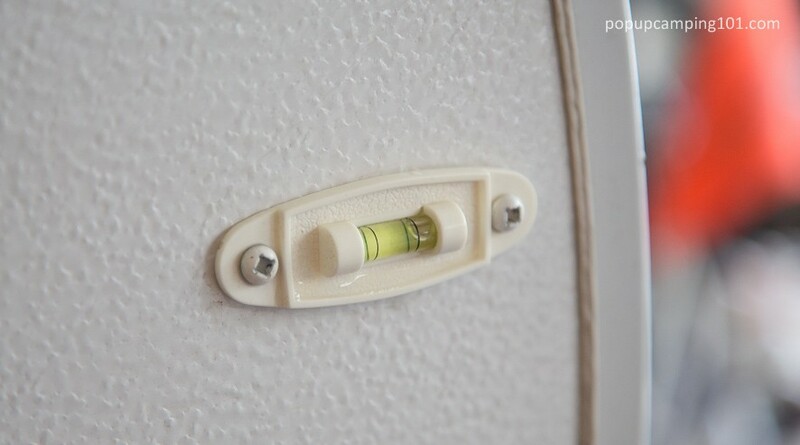 Leveling your camper before popping it up is extremely important, not only for the obvious reasons (not rolling out of your bed at night), but because certain equipment like your refrigerator must be level to operate properly. 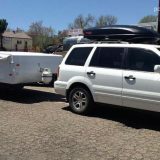 Leveling is required in two places: front to back, and side to side. 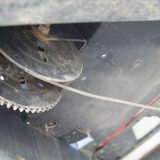 One is easy, the other can be difficult – but I’ll show you how to make it easy too!